It's not the dog's fault that Max is a flop. There's a promising premise at the beginning of Max, a "war is hell" setup involving a Marine coming home from combat duty in Afghanistan, suffering from post-traumatic stress disorder and trying to adjust to a life of normalcy. You've seen the posters. 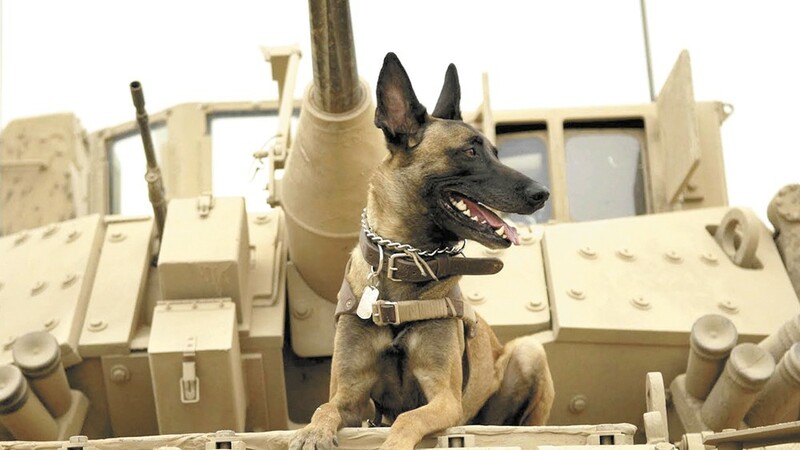 You know that it's a four-legged Marine named Max, an MWD (Military Working Dog) who walks ahead of Marines on patrol, sniffing out guns and Taliban fighters who are waiting in ambush. Things go wrong in the opening minutes, resulting in the death of Kyle, the Marine who's Max's trainer and best friend. The distraught and confused Max is sent back to the States for retraining. But he improbably ends up in Texas, living with Kyle's family — Dad (Thomas Haden Church), who's a wounded Marine; Mom (Lauren Graham), who smiles a lot; and Kyle's teenage brother Justin (Josh Wiggins), who matches each of Mom's smiles with a scowl. But chained in the backyard and howling through the night, to the disdain of Dad, Mom and Justin (and just think about their neighbors), Max only gets further into a funk. Until... and you knew there was going to be an until... Justin is hanging out with his pal Chuy (Dejon LaQuake), and he meets Chuy's feisty cousin Carmen (Mia Xitlali), who conveniently knows everything there is to know about training difficult dogs. Let the overplotting begin. In no particular order, we get stories about stolen video games, crooked cops, Mexican gangs, illegal arms sales in Afghanistan and Texas, kidnapping, evil Rottweilers and heavy drinking. There's far too much going on, and only a couple of performances are praiseworthy: Church's character slowly reveals his multiple layers, and Xitlali gives us someone who's bristling with energy and an inner excitement. Everyone else is flat, either because they're underdeveloped in the script (Graham) or because they're just not very good actors (Wiggins, LaQuake). There's some hope with a mysteriously discharged Marine named Tyler (Luke Kleintank), whose behavior in Afghanistan seems fishy near the beginning, but he merely devolves into a black-and-white character by the climax. Max is not showing in any theaters in the area.